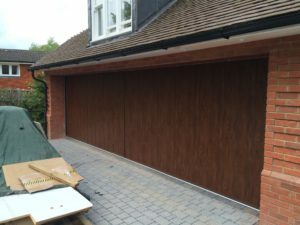 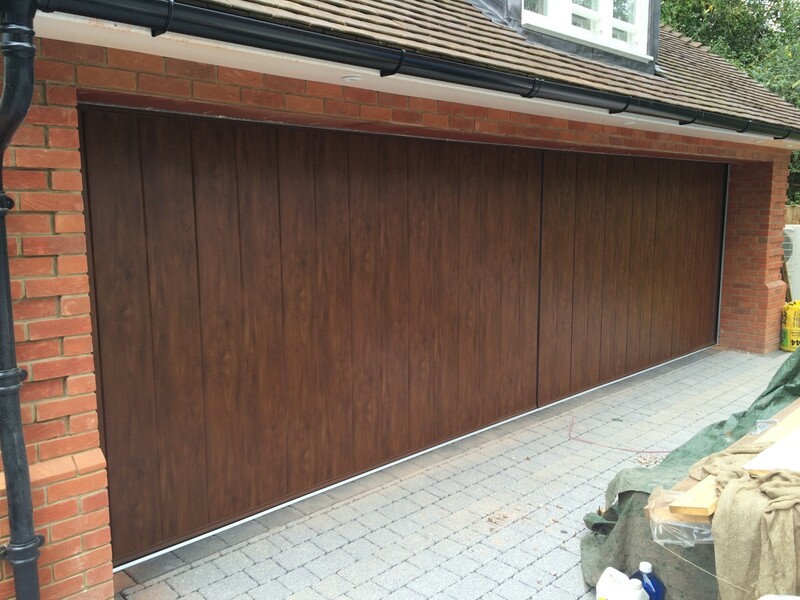 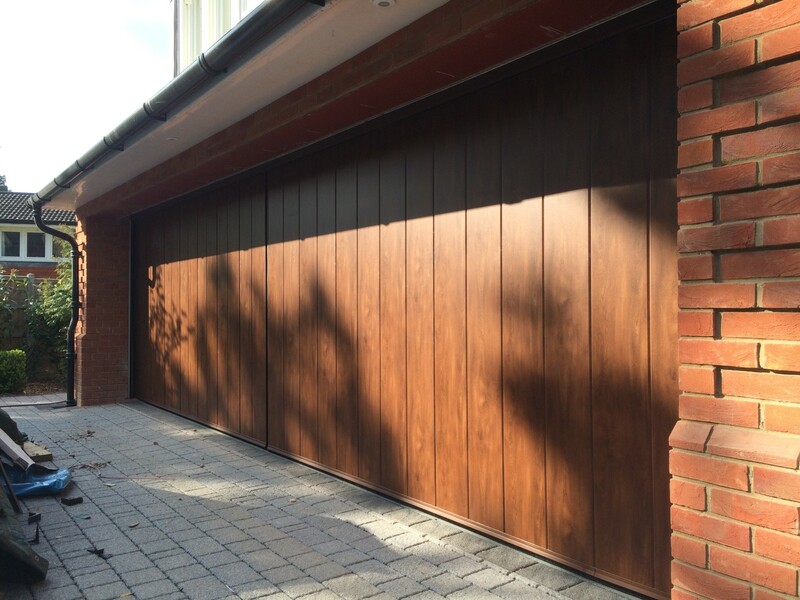 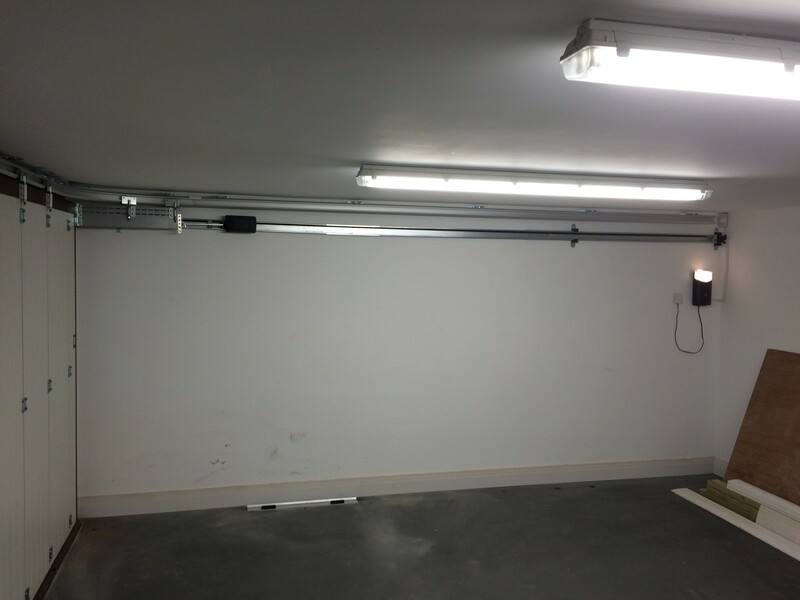 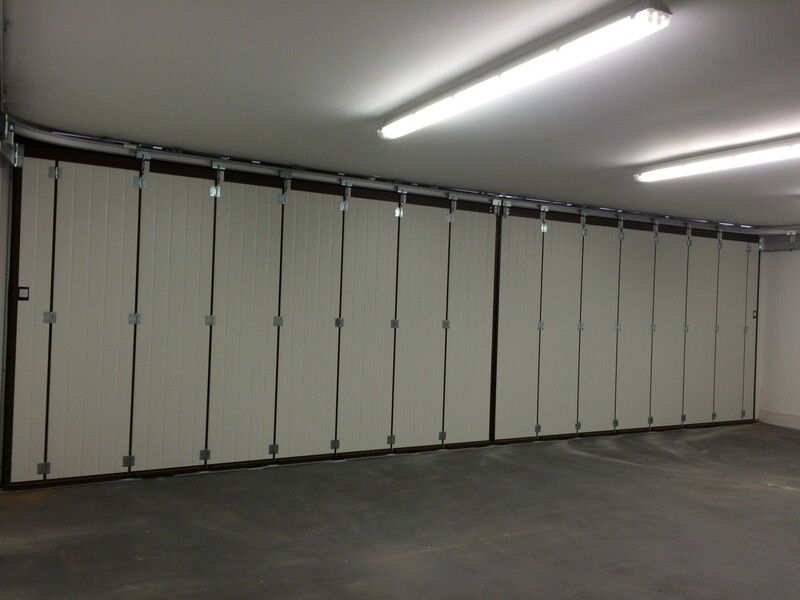 Our client in Ascot needed to span a huge garage opening with and insulated door… Our solution was a pair of side sliding 40mm insulated steel sectional garage doors. One opens to the left and one to the right. Byron Doors Ryterna Wood Mid-Rib Slick style side sliding sectional garage door with a wood effect texture finished in Old Oak. 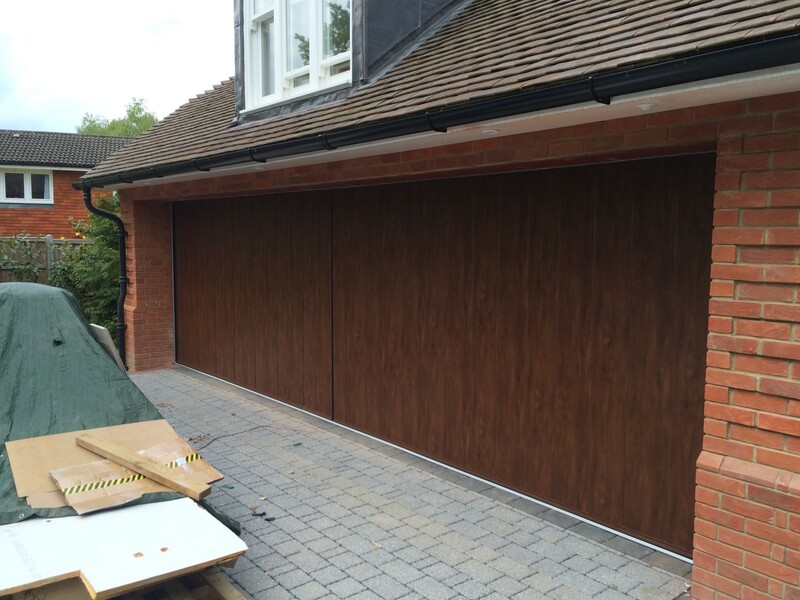 The doors are Ryterna SSD’s finished in a laminate Old Oak wood effect. 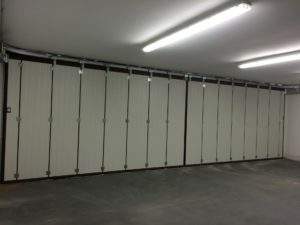 Both sides are controlled by Ryterna/Sommer Duo motor systems which open and close each half of the door at the press of a button.